Update: The LG G8 is landing on February 24 and it might not be alone. Plus, we&apos;ve now seen detailed renders seemingly showing the phone, along with hints of a new gesture-based interface. The LG G8 release date will be announced at MWC 2019 in late February, but we&apos;re already hearing about the smartphone&apos;s new features and price ahead of time. New LG G8 ThinQ leaks suggest that LG is making a flagship handset with a second screen attachment. How the two screens attach, and if it&apos;s a feature truly intended for the LG G8, remains a mystery as of today. This is supposedly LG&apos;s take on the soon-to-be-trendy foldable phone idea that will take off in 2019. However, it should prove to be cheaper than something like the Samsung Galaxy X that uses a single display that flexes down the middle. Other LG G8 rumors suggest it&apos;ll abandon the traditional speaker grille in favor of the Sound on Display technology seen in some LG televisions. This means the audio would come out of the screen through vibrations. Since we don&apos;t know a lot about the LG G8, we&apos;ve also outlined features it could really use in the year-over-year upgrade. 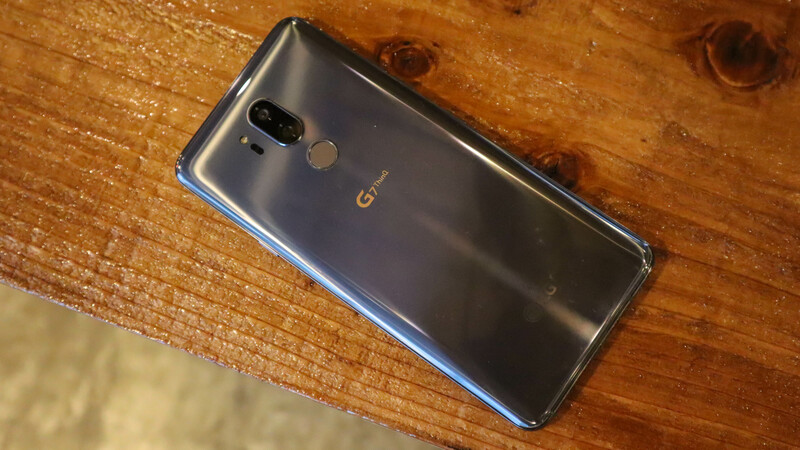 The LG G8 ThinQ is being readied for a late February launch event at MWC 2019, specifically on February 24. An event invite has now specified that date, following rumors of the same. This may not be the only LG smartphone in attendance at the mobile conference. That&apos;s why we&apos;re unsure if the LG G8 will be the one with the leaked second screen attachment, or if that feature will come to a separate phone. Indeed, we&apos;ve now heard reports that the LG V50 ThinQ, complete with 5G and a higher price than the G8, will also land at MWC. You can expect the LG G8 to release in late March. LG usually takes a month from the date of the announcement to roll its phone out to the US and UK, and a rumor specifically talks about a March on sale date. Rumors about the price come from a report out of South Korea that suggest it&apos;ll be in line with current premium-tier flagship phone pricing. The LG G7 ThinQ cost $749 / £619 / AU$1,099, so prices for the G8 may be similar. A Reddit leak suggested the 128GB version of the device will launch for C$1,199.99, which roughly converts to $900, £700 or AU$1,270, but this could change or be proven totally inaccurate when LG announces the phone. The LG G8 isn&apos;t destined for a foldable phone future, according to the latest leaks out of South Korea, but it may get a unique second screen attachment. That&apos;s rumored to be coming to at least one LG phone at MWC 2019, however. This is said to be an effort to rival the Samsung Galaxy X without ballooning the cost of the phone for price-hike-weary smartphone consumers. Sets from multiple different sources have leaked and they look much the same as each other, with a large notch housing a dual-lens camera, a slim bezel below the screen, and a dual-lens camera and fingerprint scanner on the back. You can also see that there&apos;s a 3.5mm headphone port and a button likely to launch Google Assistant. However, it&apos;s worth noting that Ken Hong, head of LG Electronics&apos; global corporate communications, has stepped in to say the renders are "speculative" and "not real". We’ve also heard from leaker @UniverseIce that the LG G8 will have a 4K LCD screen. That’s up from a 1440 x 3120 LCD screen on the LG G7 ThinQ and would be more in line with the likes of the Sony Xperia XZ2 Premium if true. While the resolution boost would be appreciated it’s unlikely to be that noticeable outside of VR – which may therefore be a focus for the G8. However, it’s disappointing that the phone is apparently sticking with LCD, given that OLED is generally considered to be better and is increasingly being used by high-end phones, including the LG V35 ThinQ. The LG G8 may get new touch-free gesture controls of some kind. This was hinted at in a teaser, though another report suggests these might be for the LG V50 ThinQ instead. The G8 might also get an audio boost. 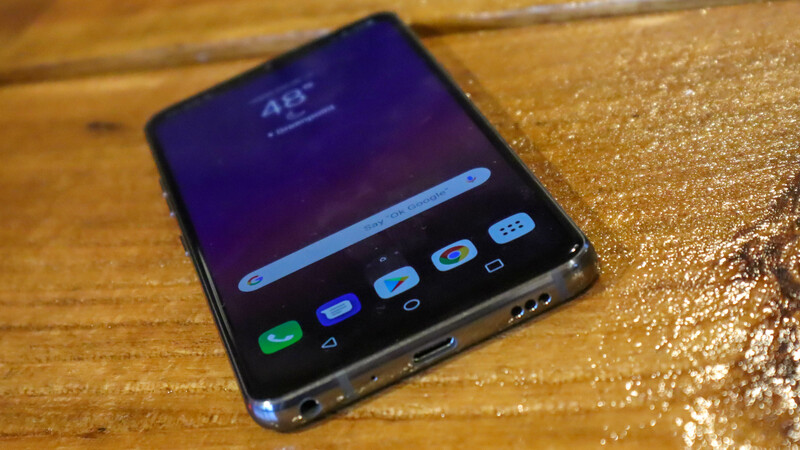 A source claims that LG use ‘sound-emitting displays’ in its phones from early 2019, essentially allowing the earpiece to be built into the screen. Currently the earpiece is one of the main components that prevents a truly bezel-free phone, so with this solved it’s possible that the LG G8 will have no bezel and no notch, though that’s just speculation for now. A separate report from OnLeaks has also suggested the phone itself won&apos;t include a speaker grille as it adopts Sound on Display technology. That&apos;s tech that debuted in LG&apos;s range of TVs at CES 2018, and that uses the display itself to vibrate to make sound rather than a traditional speaker. We can also guess that the LG G8 will probably have a Snapdragon 855 chipset. This chip has been announced by Qualcomm and is likely to be used in many of 2019&apos;s phones. It should be an improvement in a lot of ways – it&apos;s made on a smaller 7nm process than the 10nm Snapdragon 845 and could offer up to 45% improved performance. One report has said the phone won&apos;t be capable of 5G despite sporting the super-fast internet compatible Snapdragon 855 chipset. We&apos;ve since heard again that it won&apos;t support 5G, with the V50 ThinQ instead getting the tech. We don&apos;t know many specifics about the camera, but a leak from Korean site ET News has said the phone&apos;s shooter will feature 3D technology. We expect that&apos;ll be to improve augmented reality experiences as well as a few general upgrades to normal shooting performance. LG&apos;s only real announcement on the LG G8 so far is that its front-facing camera will use time-of-flight technology to improve facial recognition and selfies, as well as reduce the processing power these features require. Other than that we don&apos;t know much about the cameras, other than that the rear cameras will be dual-lens as with the LG G7 ThinQ. While we wait for more rumors about the LG G8 to roll in, here’s a list of what we hope the phone will offer. More than anything, we hope that the LG G8 will have some innovative features that we’ve not seen before. 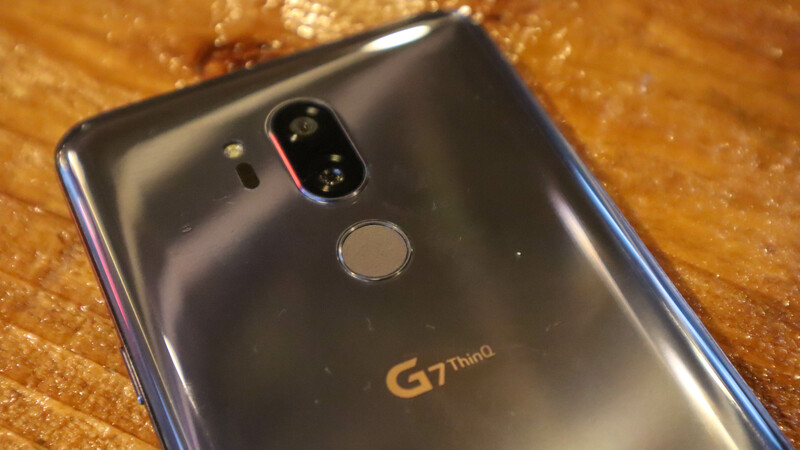 LG has done this in the past with the likes of its rear keys on older handsets and the modules it launched for the LG G5, but the LG G7 ThinQ is fairly safe and ordinary in comparison. It gets many of the basics right, but for the LG G8 to stand out from the crowd it’s going to need to do more than that, so we want LG to surprise us. One disappointing aspect of the LG G7 is its small 3,000mAh battery, a battery which can last the day but won’t go beyond that for most users. That’s roughly in line with many other phones, but they in many cases have much bigger batteries so we’d love to see what LG could do with a big one of say around 4,000mAh. The LG G7 already has a very good speaker, but the key word there is ‘speaker’, not ‘speakers’. For the LG G8 we’d like to see all the fancy Boombox tech return, but for it to be used in a pair of speakers rather than one, so it can offer stereo sound and is less in danger of being accidentally covered. The LG G7 ThinQ is an expensive phone, but oddly in the US it’s a very expensive phone, launching at a higher price than even the Samsung Galaxy S9. That’s a tricky position for LG to be in, because it’s not as big a name in phones as Samsung, so it can’t really afford to price its handsets higher, at least, not unless they offer a drastically better experience, which the LG G7 ThinQ doesn’t. So for the LG G8 we want a lower starting price, particularly in the US, but keeping it as low as possible everywhere will make it more widely appealing. We see notches as something of a stopgap before phones eliminate bezels altogether. But some handsets, such as the Vivo Nex and Oppo Find X, are already getting very close to doing that, and with LG rumored to be building the earpiece into the screen for the G8 it’s not out of the question that the phone could have no notch and virtually no bezels. The LG G7 ThinQ has a premium but slightly plain build, lacking the curves of the Galaxy S9 or the striking finish of the Huawei P20 Pro or HTC U12 Plus. We’d like to see a bolder, braver look from the LG G8, making it a phone that can stand out even at first glance. If the Honor 10 can pack a color-changing back that light dances across for half the cost of most flagships then LG should be able to come up with something. Early rumors suggest the LG G8 will have an LCD screen, with the company likely keeping OLED for the V range, but we hope that’s not the case, as with OLED offering superior contrast among other benefits it’s something we’d like to see offered by all flagship phones.